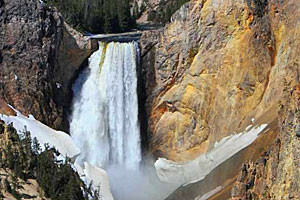 Beginning at the confluence of the Gibbon and Firehole Rivers at Madison Junction in western Yellowstone National Park, the Madison River flows west out of the park and then northwest into and out of Hebgen and Quake Lakes and then through the Madison River Valley before merging with the Jefferson and Gallatin Rivers to form the Missouri River. Fishing our home water (the Madison) around Ennis is our favorite pastime. We never of strong browns and acrobatic rainbows. Come experience how good angling can be. 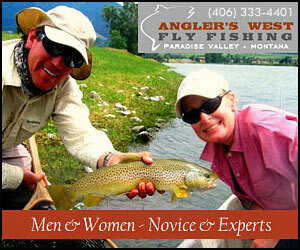 Complete fly shop and guide service in Livingston MT. 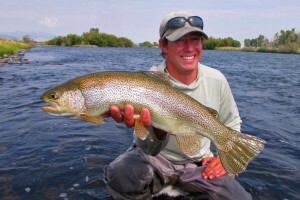 Guided trips to the Madison, Yellowstone, spring creeks and many other popular Montana waters. 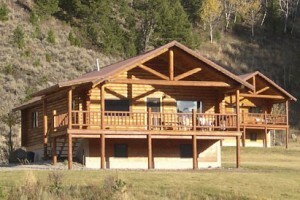 A terrific choice for lodging or Camping/RV who want at-the-river proximity to the Madison. On-site store for snacks, flies, accessories and raft rentals. Much lower prices. 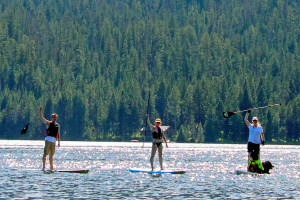 Offering Bozeman's best selection of inflatable rentals whether they be one, two or three-person tubes, rafts, party barges or SUPs. With over 300 in-stock, starting at $10. 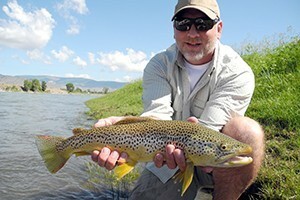 Providing all equipment (if needed) for guided trips on the Madison River in Yellowstone, or in Montana. Happy to teach beginners new to fly fishing, walk or float trips. 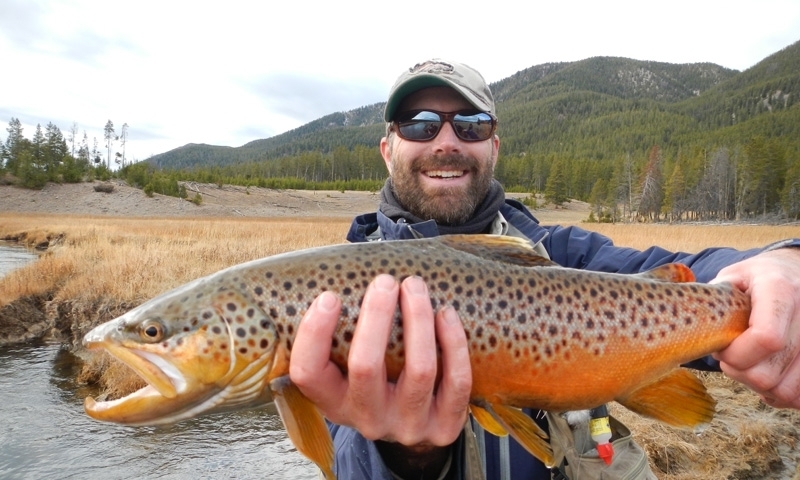 Rainbow and Brown trout dominate the Madison in the Park, which can range from 12-20". We'll show you the most productive waters and the tactics for success. Being based in Ennis, this is our backyard water, giving us a unique edge in helping you have a great day on the water. Orvis' 2017 Outfitter of the Year - see our shop. 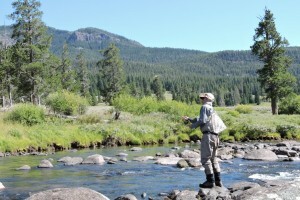 Who knows how to fish the Madison River best? Those who live and operate along the river everyday. We've guided anglers from around the world providing fun experiences. 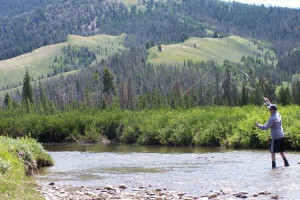 Lots of guests who stay with us do so for our proximity to fish the Madison River, just 70 miles downstream of Yellowstone. Bring your tent, trailer or RV. Awesome rates. What can I see and do along the Madison River? 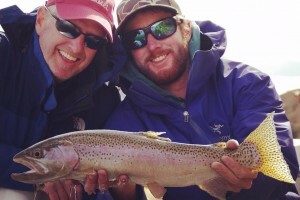 Fishing: The Madison River is known as one of the best fisheries in the area. It is easy to access for its entirety. Within the park, pull over along the West Entrance Road and walk out to the river. Fishing is great all along this section. 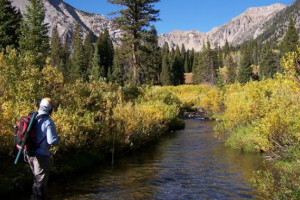 Once it leaves the park, you can cast a spin rod in Hebgen, Quake, and Ennis Lakes or enjoy more fly fishing in the Madison Valley near Ennis. Hiking Trails: The Two Ribbon Trail follows the river entirely on boardwalk. Or enjoy the Riverside Trail that begins right in West Yellowstone. It's great for hiking or cross country skiing in the winter. 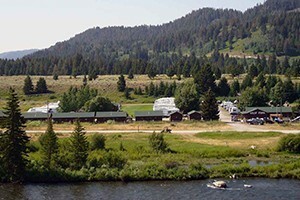 Hebgen Lake: Just northwest of West Yellowstone, Hebgen Lake offers great fishing, boating, and lodging. Quake Lake: Head further west from Hebgen Lake and you'll enter and picturesque canyon and eventually Quake Lake, formed by an earthquake in 1959. Kayaking is fun on this lake. Madison River Valley: Emerge from the canyon and Quake Lake and enter a wide valley. The town of Ennis marks the center of this valley and you can enjoy fishing on many stretches of the river. Beartrap Canyon: Just north of Ennis Lake, the Madison River enters Beartrap Canyon. Whitewater rafting is superb through this section. Missouri Headwaters State Park: Three rivers, the Madison, Jefferson, and Gallatin, converge at this state park to form the Missouri River. Where is the Madison River? The Madison River begins right at Madison Junction in Yellowstone National Park where the Gibbon and Firehole Rivers converge. It flows west out of the park through the West Entrance. It fills Hebgen Lake and drains it all the same, then flows through the stunning Madison River Canyon into Quake Lake. On the western edge of Quake Lake, it flows into Madison Valley, through the town of Ennis and into and out of Ennis Lake. It enters the steep Beartrap Canyon before converging with Jefferson and Gallatin Rivers in the Missouri Headwaters State Park (just west of Bozeman) to form the Missouri River. When is the Madison River accessible? The Madison is accessible year-round. Within the park you can cruise along it's banks on cross country skis or snowshoes. Outside of the park, the river is followed by well maintained road for most of its journey to Three Forks. Hebgen Lake offers ice fishing in the winter as well.